The Benelux Interparliamentary Consultative Council (known informally as the Benelux Parliament) is one of the institutions of the Benelux economic union. 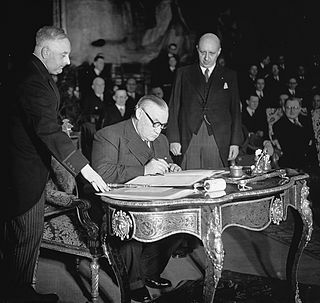 The Parliament was established by an agreement signed by Belgium, the Netherlands and Luxembourg on 5 November 1955, which means it had already existed for three years when the Benelux Union was signed on 3 February 1958. The Benelux Parliament provides the governments with advice on economic and cross-frontier cooperation. Its recommendations may also concern other matters if common interests or current events so dictate. The parliament also keeps the three governments informed about the opinions that move in the parliamentary assemblies from which its members originate. The Benelux Parliament consists of 49 members: 21 Members of Parliament from Belgium, 21 from the Netherlands and seven from Luxembourg. The 21 Belgian members are elected from amongst both Chambers of the Belgian Federal Parliament and by the Parliaments of the Communities and Regions of Belgium. The 21 Dutch members are elected from the Senate and House of Representatives of the States General of the Netherlands. The seven Luxembourg members are elected from amongst the Chamber of Deputies of Luxembourg. There is also one acting member for each of the 49 members, who can replace that member if necessary. The members of the Benelux Parliament are divided into three factions. The Christian faction includes members of the CD&V, cdH and N-VA from Belgium, the CDA and CU from the Netherlands, and the CSV from Luxembourg. The socialist faction includes members of the PS, sp.a, Groen and Ecolo from Belgium, the PvdA from the Netherlands, and The Greens, The Left and the LSAP from Luxembourg. The liberal faction includes members of Open Vld and MR from Belgium, the VVD from the Netherlands, and the DP from Luxembourg. Members of the PVV, SP and D66 from the Netherlands and VB from Belgium are not part of any faction. Dutch politician André Postema is the President of the Benelux Parliament for the period 2017–2018. The seat of the Benelux Parliament rotates among the cities of Brussels, The Hague and Luxembourg. Each of these cities hosts the plenary meetings of the Benelux Parliament for two consecutive years. The Benelux Parliament met in Luxembourg in 2013 and 2014, in Brussels in 2015 and 2016, and meets in The Hague in 2017 and 2018. The Secretariat of the Benelux Parliament is located in Brussels. ^ a b Benelux Parliament Archived March 3, 2014, at the Wayback Machine, benelux-parliament.eu. Retrieved 2014-3-4. ^ (in Dutch) 3 politieke fracties Archived November 7, 2012, at the Wayback Machine, benelux-parliament.eu. Retrieved 2014-3-4. The Belgian Federal Parliament is the bicameral parliament of Belgium. It consists of the Chamber of Representatives and the Senate. It sits in the Palace of the Nation. The Chamber of Representatives is the primary legislative body; the Senate functions only as a meeting place of the federal communities and regions. 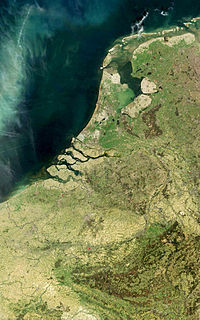 Belgian–Dutch relations refer to interstate relations between the Belgium and the Netherlands. It can be seen as one of the closest international relationships in existence, marked by shared history, culture, institutions and language, extensive people-to-people links, aligned security interests, sporting tournaments and vibrant trade and investment cooperation. 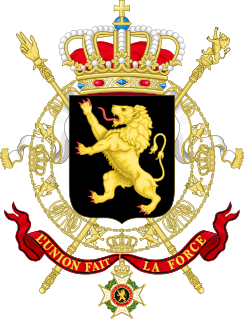 Relations were established after Belgium became independent from the United Kingdom of the Netherlands in 1839. Both nations are great allies with cultural similarities and close cooperation between both governments. The language spoken in Belgium is known as Nederlands/Dutch, is the most-spoken language in both countries. Approximately 35,000 Belgian nationals live in the Netherlands, while there are around 111,000 Dutch nationals in Belgium. Alain Courtois, a Belgian Member of Parliament, announced in October 2006 that a formal bid would be made on behalf of the three Benelux countries: Belgium, the Netherlands, and Luxembourg to host either the 2018 FIFA World Cup or 2022 version, but has since decided to concentrate solely on the 2018 version . In June 2007 the three countries launched their campaign not as a joint bid in the manner of the Korea-Japan World Cup in 2002, but emphasizing it as a common political organization. Luxembourg would not host any matches or automatically qualify for the finals in a successful Benelux bid, but would host a FIFA congress. Quidditch Nederland, formerly known as Muggle Quidditch Nederland, is the official governing body of the sport quidditch in the Netherlands, and affiliated with the International Quidditch Association and its European Committee. Quidditch is a sport which combines elements of handball, dodgeball, and rugby, and is derived from the fictional sport of the same name from the Harry Potter series. Its current president is Laurent Lardenois, and the Vice-President is Anna Bakker. Quidditch Nederland, then Muggle Quidditch Nederland, was founded in 2014 by Jerona van der Gevel and Bram Vries as part of Quidditch Benelux. The 2019 Belgian federal election will take place on the same day as the 2019 European Parliament elections and the 2019 Belgian regional elections, being 26 May 2019, unless snap elections are called. The European Parliament election of 2019 in Belgium is an election scheduled for 26 May 2019 in the three Belgian constituencies: the Dutch-speaking electoral college, the French-speaking electoral college and the German-speaking electoral college.